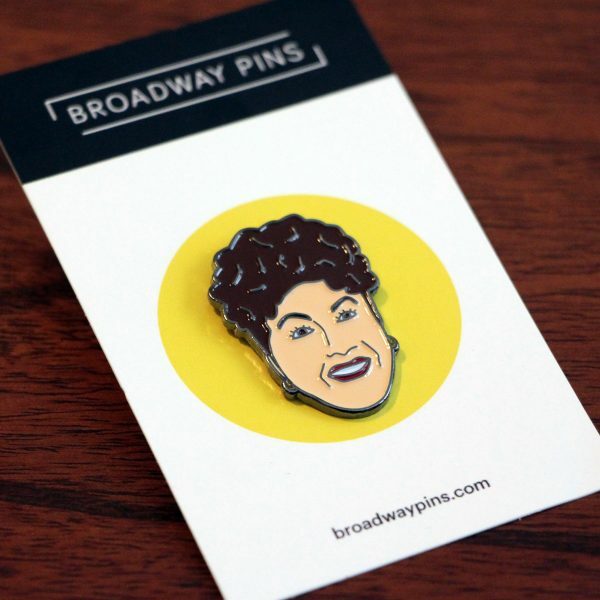 There’s no pin like an Ethel Merman pin. 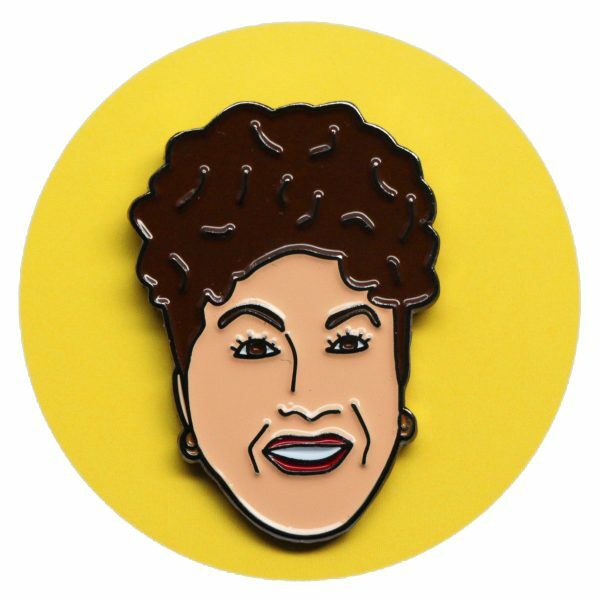 You’ll be the top with this classic leading lady on your lapel. This Ethel Merman pin is 1.25 inch tall, plated in black and comes with a black rubber clasp on the back.